THEHANSENFAMILY: FINALLY A TOTEBAG FOR MY FURNITURE! FINALLY A TOTEBAG FOR MY FURNITURE! I'm still dreaming of having my own minigallery where people come in and take my furniture with them home right away. 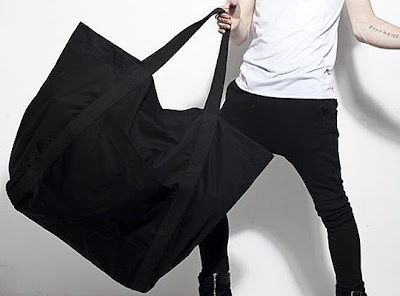 At least I found the perfect Tote Bag today so I'm one step closer :) NYC's OAK created this oversized bag with double handles.